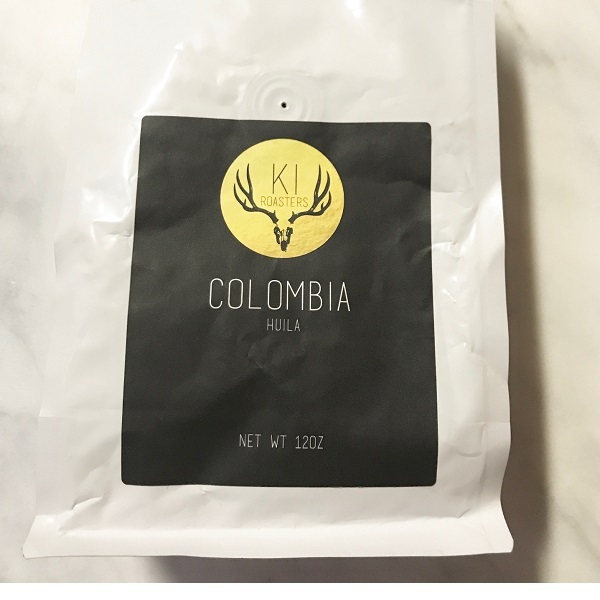 KI Roasters is a new small specialty roaster from Colorado. Their slogan is “Remarkably Good Coffee” and their owner is dedicated to growing the craft. These beans come from Huila Colombia which is in the southern part of the country, and really not too far from the equator. These single origin beans are ideal for drip coffee. As an espresso you’ll taste sweet chocolate and honey, followed by a cola and slightly earthy finish. This coffee is a true coffee drinkers coffee. It has a nice rich and savory flavor. You’ll get notes of cola, and of course chocolate. Subtle of hints of honey, with a nice bit of complexity. About our ratings – For both ratings (espresso & pour over) we’re looking at the flavor profile, along with drink-ability and balance. Reviewing as the espresso gives us extra insights into the nuanced flavors of the beans.